This weekend I took a trip up to Norwich to visit a friend, and we went to see the exhibition Japan: Kingdom of Characters at the Sainsbury Centre for Visual Arts. 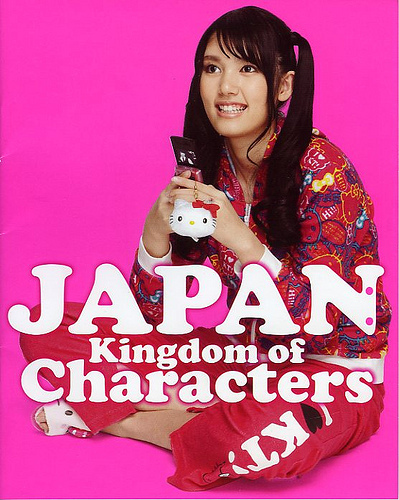 Japan: Kingdom of Characters is on until 24th June and it’s free to enter. It’s quite a small exhibition, and you can’t take photos in there, but it’s worth checking out if you’re in the area. There wasn’t really anything new for me in the exhibition, but it was nice to see a lot of familiar Japanese characters from the 1950s through to today, and to introduce some of Japan’s unique pop-culture to my friend. 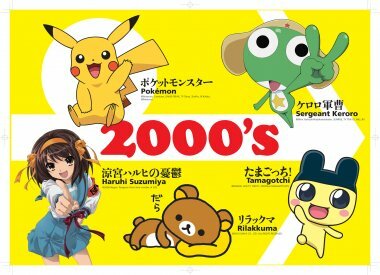 The exhibition looks at how important characters are in Japanese culture, not just for children, but for everyone. Characters are such an ingrained part of Japanese culture – everyone grows up with them, cities and sports teams are represented by them, and everyone has characters in their lives in some way, from mobile phone charms to clothing, household goods to computers, cuddly toys to plastic figurines. 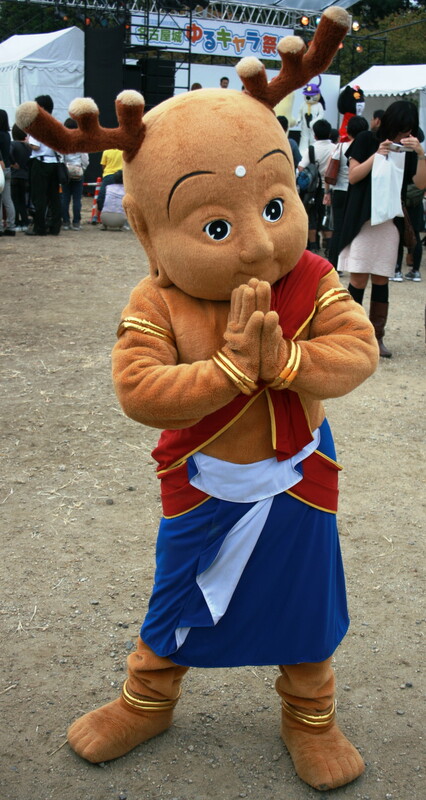 When you visit Japan it is impossible not to notice characters. You don’t have t go to Akihabara, Harajuku, or even Tokyo to see them. Even airports sometimes have them to greet you when you arrive. Every souvenir shop is bursting at the seams with local characters, Hello Kitty, Doraemon, Rilakkuma and others, and it would seem strange not to see brightly coloured characters wherever you go. But, as I said, they’re not just for kids. Kids are, of course, the main consumers of character goods, but it’s not at all unusual to see housewives or salary men with character goods of some kind. 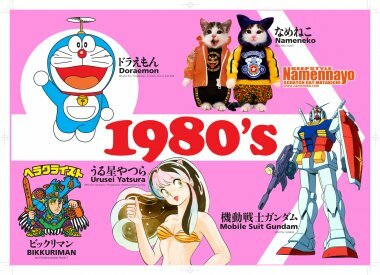 Whole ranges are even designed with adults in mind, meaning that, if you like Hello Kitty, you don’t have to buy some neon pink toy meant for a five year-old, you can have a tasteful handkerchief or bento box instead, with only the subtlest of Kitty motifs on it. I think one of the biggest misunderstandings about the Japanese pop-culture that has become popular in the West is that it’s mainly for kids. Of course, Pokemon will generally appeal more to young people, but other parts of Japanese pop-culture such as comic books and Studio Ghibli movies are undoubtedly for adults too. The nearest equivalent we have in the West would be Disney (which, of course, is hugely popular in Japan too), but even Disney is often thought to be more for kids that adults and if an adult is a huge Disney fan, we often think of them as a bit childish or strange. When it comes to something like Studio Ghibli, I think it’s perfectly acceptable for people of all ages to be fans. The films contain beautiful animation and a mixture of themes, some of which can be quite complex and better suited to adults, and the merchandise is quality stuff; a lot of which is designed for adults specifically (such as jewellery, ornaments, adult sized clothing or kitchen apparatus). 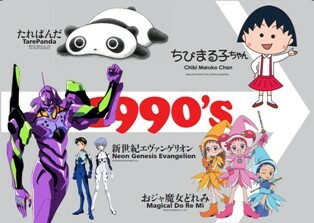 According to the exhibition, in 2004 the Bandai Character Research Center conducted a survey of 1,210 Japanese people (aged from 3 to 69) and found that 79% of respondents owned some type of character goods and 90.2% admitted to having characters they liked, regardless of whether or not they owned any character goods. When asked why they owned character goods, the most common response was “tranquility”, meaning that being with a character makes them feel calm in the same way that being with close friends and family can make them feel calm and relaxed. People actually feel that they can develop some kind of emotional bond with these characters and rely on them. I can kind of relate to this feeling in a way. Walking round the exhibition was, for me, a bit like walking round a room full of pictures of my friends and acquaintances from Japan. I felt happy and safe around those familiar faces, and it was good to see them again. One theory as to why Japanese characters are so easy to relate to is that their expressionless faces allow us to project our own feelings on to them. If you think of the faces of Hello Kitty, Rilakkuma or even Ultraman, you will see that they all have one thing in common – no particular facial expression. That means that when I feel sad I can be sad with Kitty-chan, but when I feel happy, she can share my joy too. The main attraction at the Kingdom of Characters exhibition was a mock-up of a teenage girl’s bedroom, totally decked out in Hello Kitty goods. I think it’s unlikely that many young people would have bedrooms exactly like this as it would simply cost too much, but I don’t think it’s beyond belief that most teenagers’ rooms would have at least half as many character goods in them (a lot of character goods are available in cheap shops, such as 100 Yen shops, so it is easy for kids to purchase the items featuring the characters they like). The exhibition claims that, while Japanese characters themselves are becoming increasingly popular in other countries, “there is no other nationality in the world that lives in such a regular and close proximity to characters” as Japan. So, what is the future for characters in Japan? 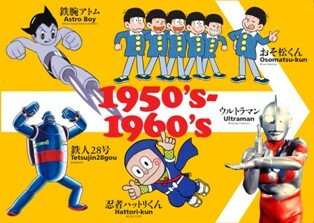 According to the exhibition, one of the main ways we will be seeing characters in the future is as regional mascots. 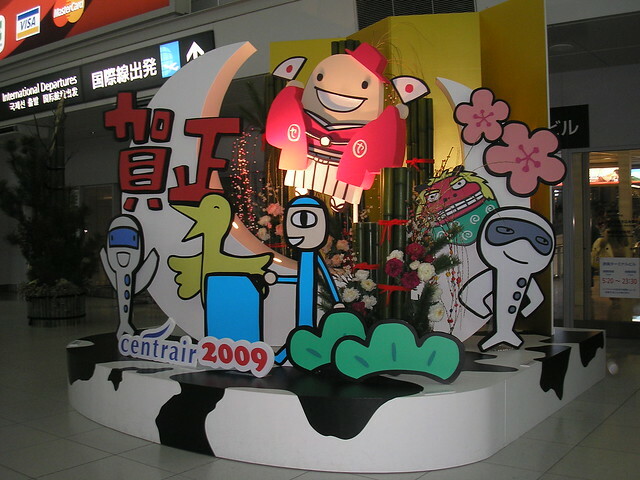 Characters such as Sento-kun (from Nara), have followings, and are becoming increasingly popular not only as a source of tourist revenue, but simply as symbols for the city or area they represent. 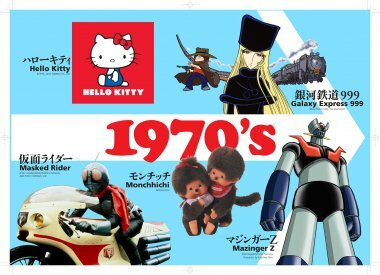 And, of course, characters like Hello Kitty (who has been around since the 70s) are here to stay! 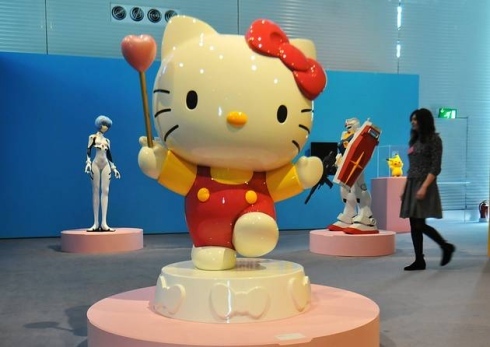 Japan: Kingdom of Characters is a travelling exhibition organised by the Japan Foundation. The exhibition looks at the questions of what exactly a character is, why they are so popular, what kind of society these characters reflect, what kind of influence they exert on that society, and where Japanese character culture is headed. The exhibition will be at the Sainsbury Centre for Visual Arts until 24th June, and was previously on display in Manila and Sydney. Great review! I especially like the photo of Sento-kun from Nara. Oh yeah, I read in your post no photos were aloud to be taken, but I thought the photos you chose for this post were great! Ah, and PS: I want that bedroom. 😛 Do I need to grow up? Hahaha! Haha. I love Rilakkuma. I’m actually giving away a Rilakkuma mug on my blog. 😛 I have three of them so… 😛 LOL!